Belgard Pavers patterns are now available in the Redding, Northern California Area. Home owners, contractors and developers are welcome here. Below is a selection of the pavers and cobblestone that Vic Hannan carries. Call now for a FREE Estimate! The strength and durability were the reasons why pavers were used in Ancient Rome. 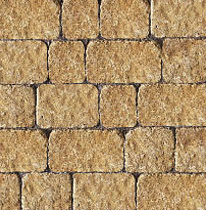 With old world historic brick shaped paver, the Holland offers a classic European look to any project. It is great for sidewalks, patios, and driveways. You can get the best look of brick with the durability of a concrete paving stone. Choose from a variety of colors to create strong, beautiful, unique sidewalks, driveways or walkways. Or use them for many other residential or commercial settings. Because of its classic, rectangular shape, you can create numerous interesting architectural designs that remain as stylish and attractive through the years as the day they were installed. 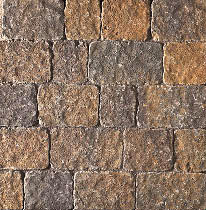 Cambridge cobble pavers bring all the best of European design to your property. One look and you’re carried away to the clatter of horse-drawn carriages in charming European villages and countryside. When architectural design was measured by elegance and fine craftsmanship, Cambridge Cobble pavers brings this elegance to you by combining rich, earth tone colors with textured surfaces to create an authentic “old world” appearance. Available in rectangular and square styles for pattern flexibility. 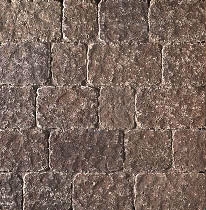 – Toscana Blend The strength and durability were the reasons why pavers were used in Ancient Rome. 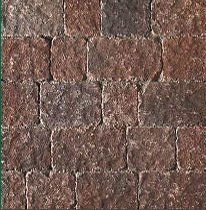 With old world historic brick shaped paver, the Holland offers a classic European look to any project. It is great for sidewalks, patios, and driveways. You can get the best look of brick with the durability of a concrete paving stone. Choose from a variety of colors to create strong, beautiful, unique sidewalks, driveways or walkways � or use them for many other residential or commercial settings. Because of its classic, rectangular shape, you can create numerous interesting architectural designs that remain as stylish and attractive through the years as the day they were installed. 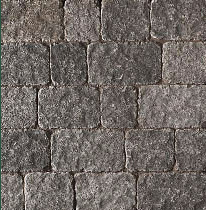 – Toscana Blend The legendary charm, nobility, and strength of Ireland can be found in Dublin Cobble Pavers. 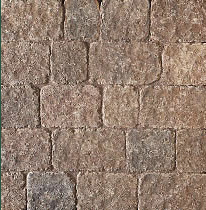 Dublin Cobble Pavers are created with Belgard’s patented antiquing technology, giving them a natural stone appearance. Standard block and brick pavers are not suitable for all paving projects. Dublin Cobble Modular pavers are designed to give non-repeating, random bond patterns designed to provide all charm of Ireland. They have the strength of regular paving stones, but have the colors, design and look of ancient cobbles. – Toscana Blend Of clearly rustic lineage, Bergerac’s finely knobbled surface, irregular shapes and rich granite-like texture all hark back to those ancient paving stones born of the art and craft of the old stone cutters. Bergerac paving stones come in six delicately shaded colors designed to blend in natural harmony with those of Dublin Cobble paving stone and the Celtik retaining wall blocks. A highly distinctive paving stone, Bergerac is destined, as Dublin Cobble was to become the model and inspiration for a whole new generation of paving and masonry products. – Toscana Blend Like Bergerac, Mega-Bergerac emulates the European rustic look but in a larger more robust fashion. The grander stones match the feel of natural stone products like granite and bluestone. With finely knobbled surface, irregular shapes and rich granite-like textures, Mega-Bergerac is the choice for the building the finest driveways, patios and pool decks. Its ashlar-installed pattern, similar to its counterpart Dublin Cobble Modular, resembles ancient cobble stone pavements that date back to the Roman Empire.